Ronald Gallant or also known as Ron Gallant is an economist and a professor at several universities, among others at Duke University and University of New York. Prior to joining Duke University, he first became a professor of economics at the University of North Carolina, Chapel Hill. Ron also served as Assistant Professor of Statistics and Economics at the University of Chicago, Duke University, and Northwestern University. In addition to the economic field, Ron also received an AB degree in the field of mathematics from San Diego State University, an MBA in marketing from the University of California at Los Angeles, and a Ph.D. in statistical science from Iowa State University. 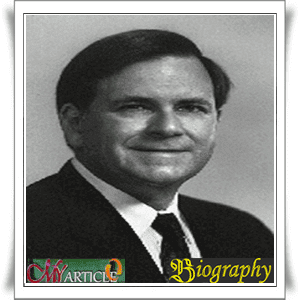 He also was a member of American Society of Econometrics and Statistics Association. Ron also worked for the Board of Directors of the National Bureau of Economic Research, the Board of Directors of the American Statistical Association, and the Board of Trustees of the National Institute of Statistical Sciences. In economics, Ron interested in the sciences modeling of data for the purpose of statistical inference. Usually this model would involve nonlinear parametric component that describes the features of the model in which the underlying scientific theory is explicit and nonparametric components that contribute this feature is a scientific theory is not clear. During Ron devoted himself to economics, he has produced and published numerous writings on the theory of economics in terms of statistics.